It’s been a long 50 years since Steve McQueen got into his Highland Green Mustang GT Fastback to lay down one of the most iconic car chases through San Fransisco in cinema history in the 1968 classic, Bullitt. To mark the occasion, Ford is offering something that should immediately become part of your “Top 10 Things I Want in 2018” list. 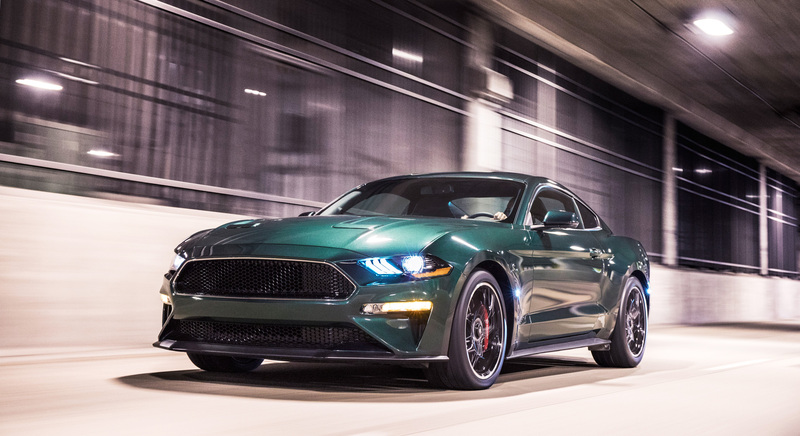 If you don’t have one, make one now and note this down: 2019 Ford Mustang Bullitt. 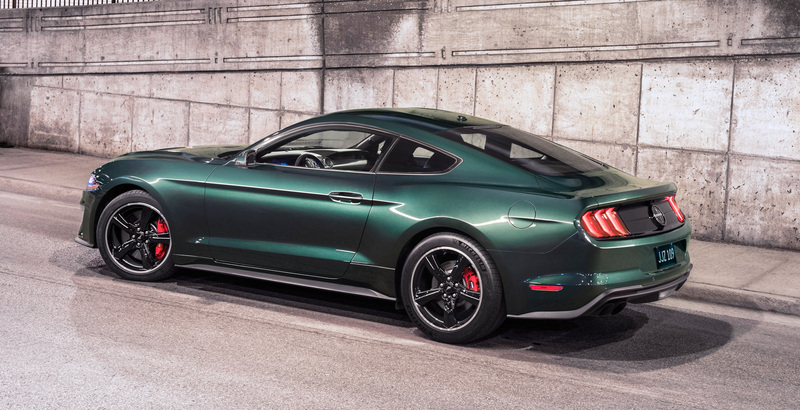 What it is, is the all-new Ford Mustang GT in Highland Green (Shadow Black also available), with no notable aerodynamic elements or go-faster stripes. 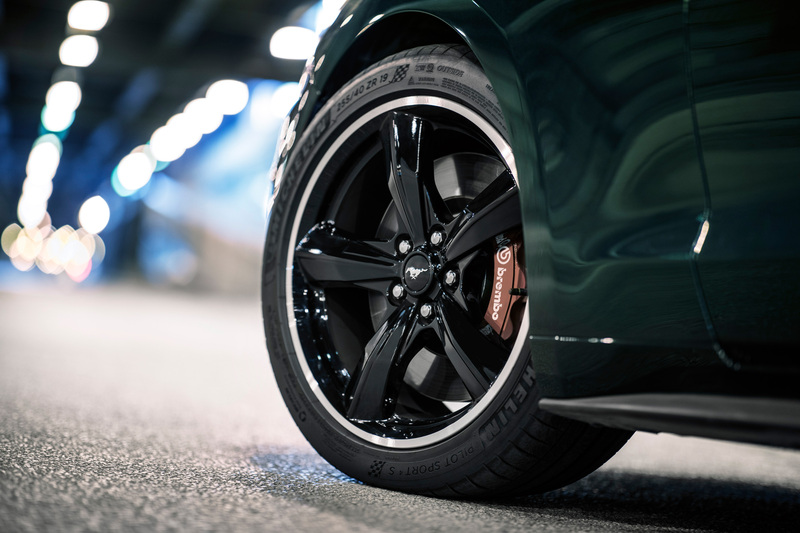 Riding on 19inch aluminium wheels with red Brembo brakes, classy chrome accents around the grille and front windows and optional Recaro seats. 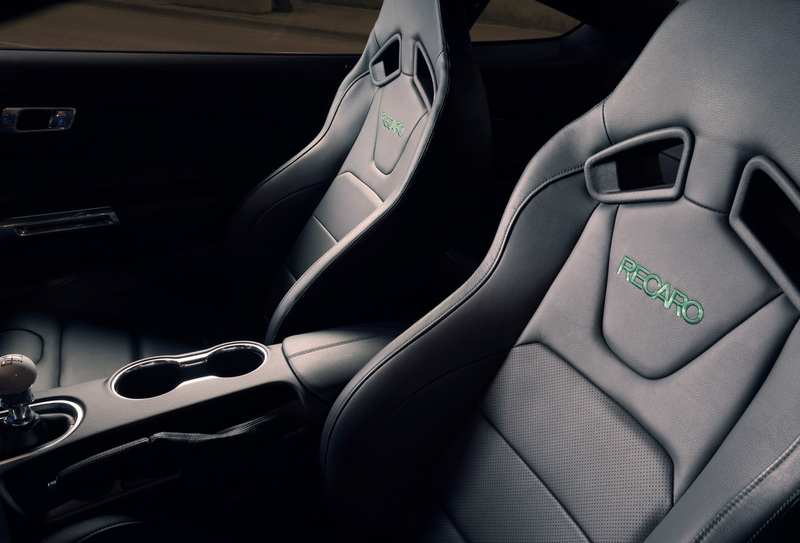 The Bullitt tribute goes beyond the understated exterior, like a manual gearbox with a white cue ball shift knob, a 12inch LCD instrument cluster where the welcome screen says Bullitt instead of the Mustang pony and minimal badging. Under the hood, it’s got a 5.0-litre V8, naturally aspirated, producing 475bhp and 570Nm of torque thanks to a new air induction system and the Shelby GT350 intake manifold with powertrain control module calibration. It makes a gorgeous noise too, thanks to an active performance exhaust system as standard with black exhaust tips. 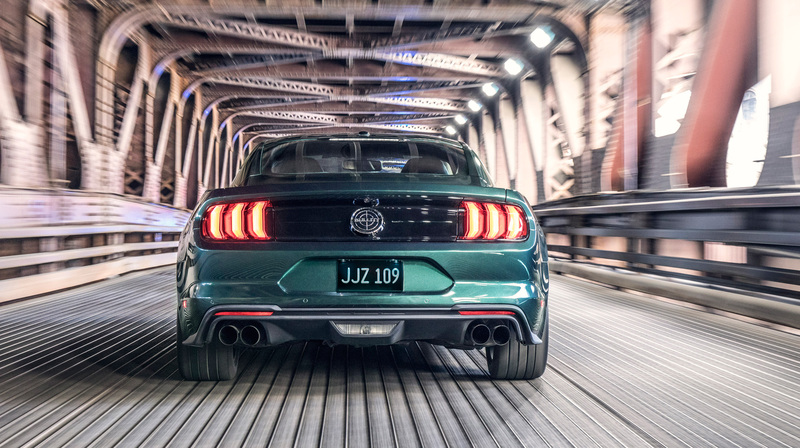 The special edition Mustang Bullitt is faster than the average Mustang GT too with a top speed of 262kph. Ford only offers three optional extras with this particular Mustang, one being the Recaro black leather seats, the second is the MagneRide semi-active suspension system and the last is an electronics package that includes nav, a better sound system, blind spot information system and driver memory seats. 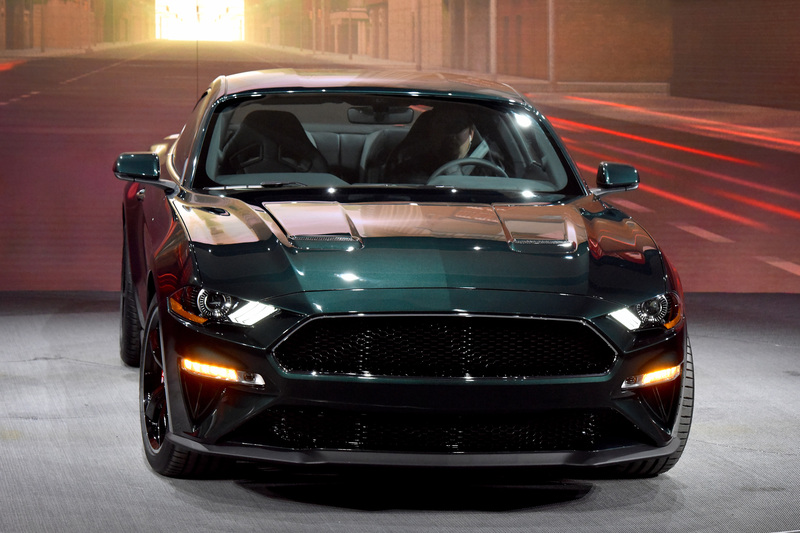 Shown in physical form at the 2018 NAIAS in Detroit, the only thing cooler than this Mustang Bullitt was the car that joined in on stage – the original ‘hero’ car driven by Steve McQueen himself in the movie, the 1967 Mustang GT Fastback. The car was driven on to the stage by its current owner Sean Kiernan who has had the car in his family since 1974 and was joined later on stage by Steve McQueen’s granddaughter, Molly McQueen. She also stars in the commercial for the limited edition Mustang Bullitt, racing a modern-day Dodge Charger for the last spot in a parking garage. 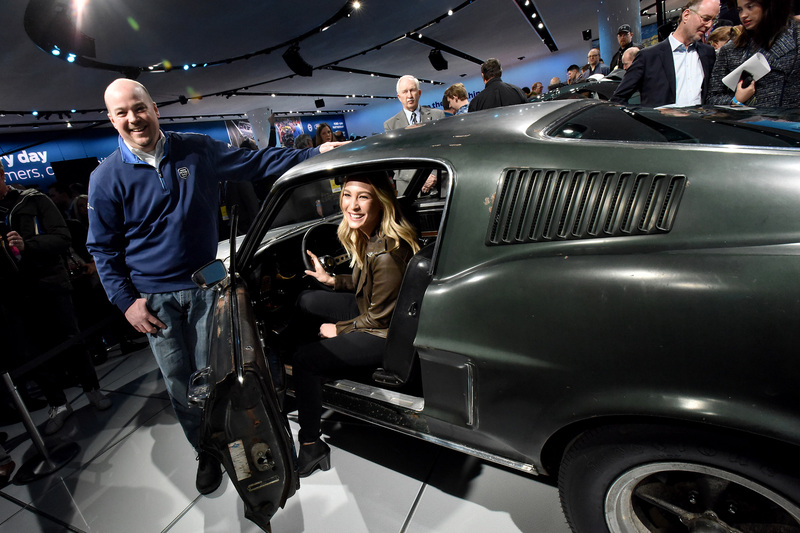 Sean Kiernan shows his 1968 Mustang GT to Molly McQueen, granddaughter of film legend Steve McQueen. 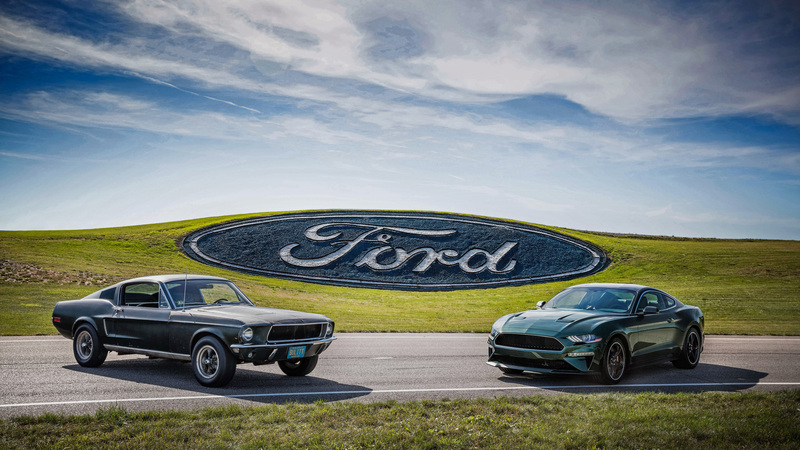 Kiernan’s car was used during filming of the movie “Bullitt.” Fifty years later, he brought it to the 2018 North American International Auto Show as Ford was revealing its all-new 2019 Mustang BULLITT.